Around 11:45 a.m., an 18-wheel delivery truck made a wide right turn off of Monterey Street and onto Osos Street. As the truck was turning, a driver tried to cut inside the semi. The driver did not realize the semi was turning, and the two vehicles collided. The collision cracked the trunk’s tank open, and fuel began to spray out of the vehicle. About two to three gallons of diesel spilled as the truck driver pulled up Osos Street to safely park. The truck driver tried to stop the leak by covering it up with his hand, San Luis Obispo Fire Battalion Chief Bob Bisson said. Fire personnel then arrived with a special putty and stopped the leak, Bisson said. Responders also poured a powder clay on fuel in the gutter in attempt to absorb it before it reached the storm drain. But, some of the diesel travel 20 to 30 feet down Osos Street and into a storm drain that empties into San Luis Creek. Bisson said fuel that reached the storm drain was absorbed by dirt and leaves. The diesel would have had to travel about 50 yards under the street in order to reach the creek, Bisson said. I’m pretty sure when they said the truck’s fuel tank, they literally meant the TRUCK’S fuel tank.. not that the truck itself was hauling fuel. The driver of the dinky little car tried to cut in front of an 18 wheeler on SLO streets. He deserves the Darwin award for stupidity. If that 5 gallon estimate is accurate, it is amazing the spill was as it was. Those tankers have got to hold several thousand gallons of fuel. So let’s send all the oil to Santa Maria on trucks instead of a train! “Bisson said fuel that reached the storm drain was absorbed by dirt and leaves.” Good thing we don’t clean our streets, who knew our city was so forward thinking to let drains plug up naturally in the event of a spill. Will anyone be cited? 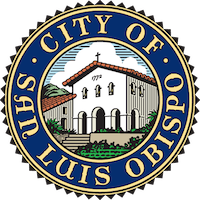 SLO city employees poured out far more toxic waste at the corporation yard and were never disciplined, but no doubt the city will find a way to make LOTS of money off of this through fines, etc. In July, a train in Montana derailed and dumped 35,000 gallons. 1-5 gallons? I’ll stick with trucks, thank you.